This month’s forum was different compared to the previous forums that we’ve been shared for the past 6 years. 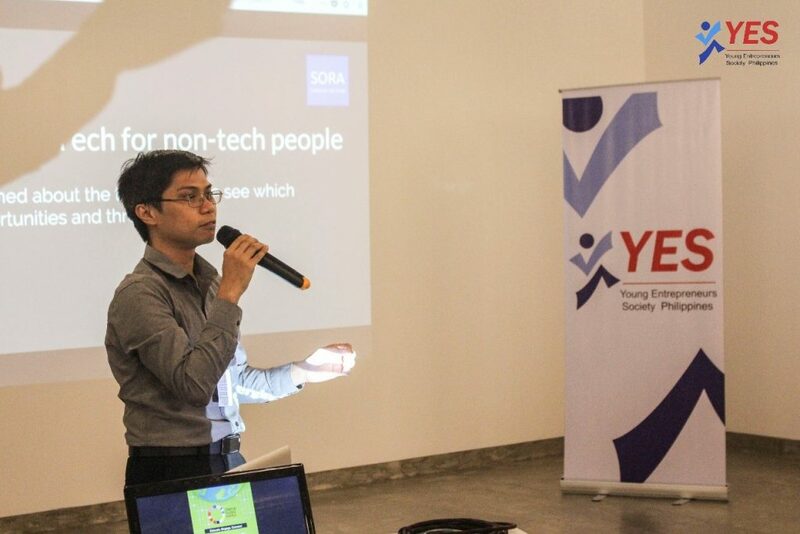 We are proud to present the 2 speakers that we had during the forum: Pushkart.ph CEO and Founder, Mr. Joshua Aragon and SORA Founder, Mr. Juan Dalisay Jr. who shared their valuable time and knowledge in their respective fields. 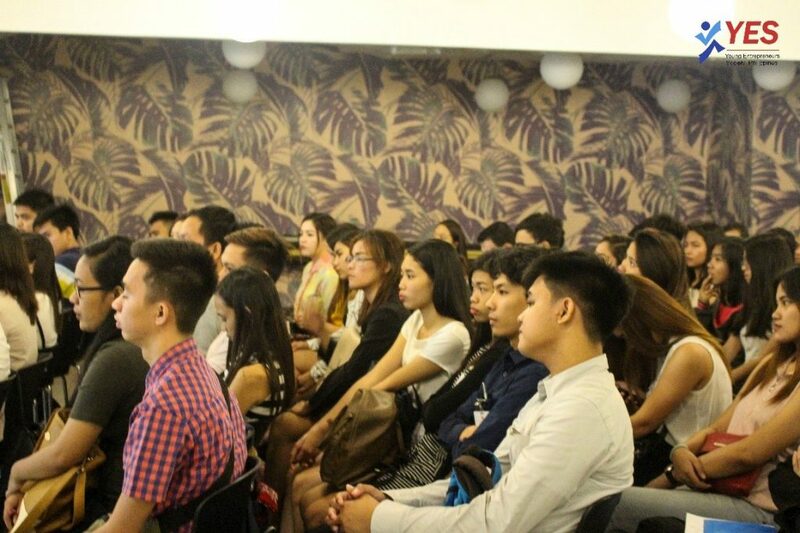 The forum was held last October 11, with a topic entitled “Pitching and Tech trends”. Our first speaker for this forum was the Co-Founder of Pushkart.Ph, Mr. Joshua Aragon. He started the forum by asking the crowd if they know how to pitch and how vital to know the art of pitching. He talked about how it helps him with his business and teaches the crowd how to do the right pitching. The second speaker was the Founder of SORA, Mr. Juan Dalisay Jr. He started the forum by asking the crowd if they have a basic knowledge about Web development and Technology. His talk was very informative as he provides the best example to explain further his topic. He explained different platforms to use for non-tech people. After sharing their expertise, both speakers provide advice related to their talk. Both speakers took a photo along with the crowd. 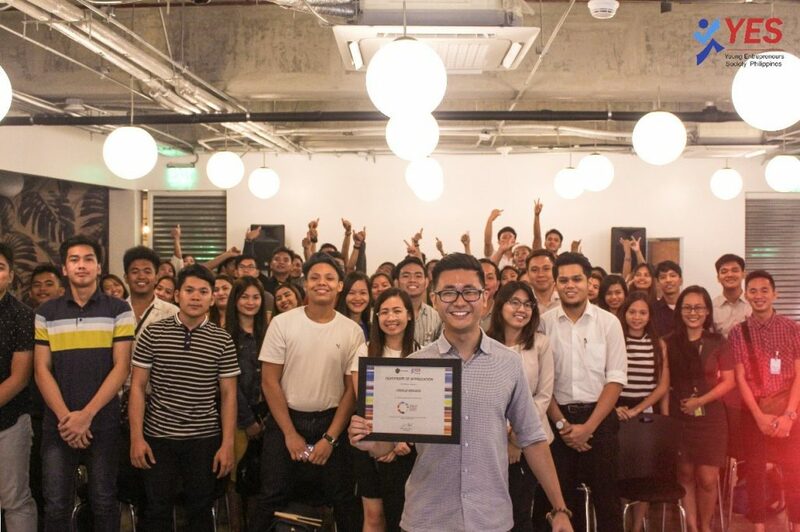 YES Philippines would like to thank everyone who made this event possible especially to our partners Global Entrepreneurship Network (GEN) and Penbrothers. 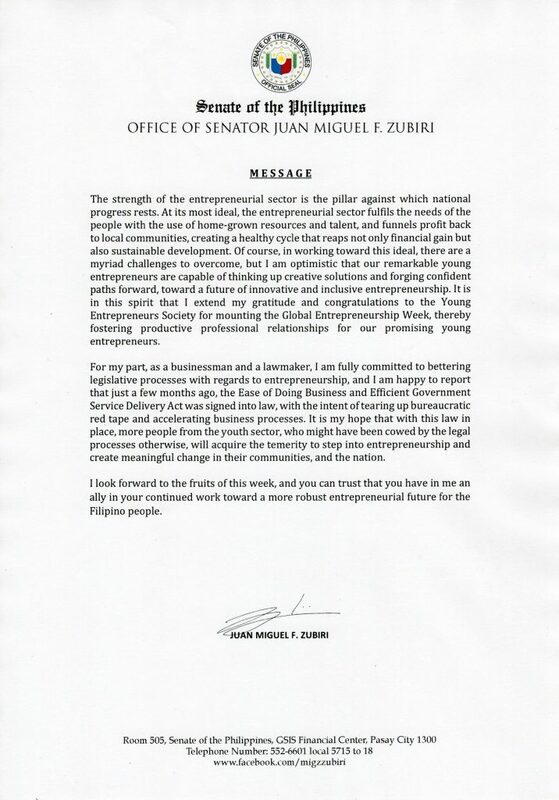 The Young Entrepreneurs Society (YES) Philippines is proud to present the President of the Philippines,President Rodrigo R. Duterte shows his full support in celebrating Global Entrepreneurship Week in the Philippines. 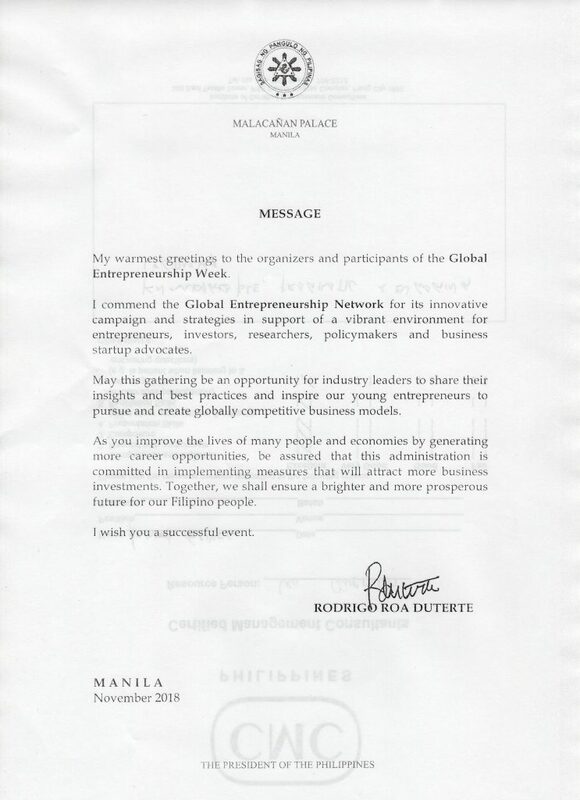 President Duterte commends in his letter the Global Entrepreneurship Network for an innovative campaign that supports the entrepreneurial environment in the Philippines. He also mentioned that this is the best opportunity for industry leaders to share their valuable insights and best practices that will help the young generation to pursue entrepreneurship that could help improve the lives of many people and career opportunities. 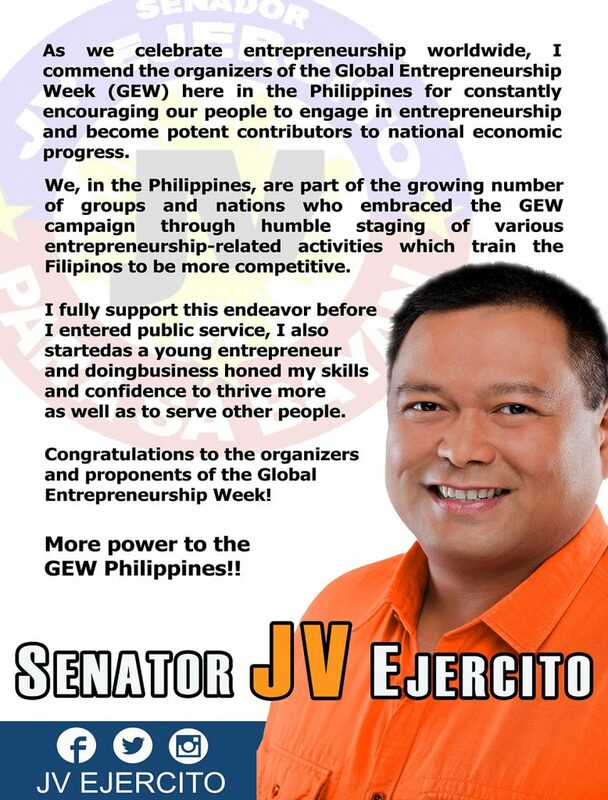 Senator JV Ejercito commends celebrating Global Entrepreneurship Week in the Philippines. He also commends celebrating Global Entrepreneurship Week that has been constantly spreading awareness about entrepreneurship and encouraging people to engage to become potent contributors to our economy. 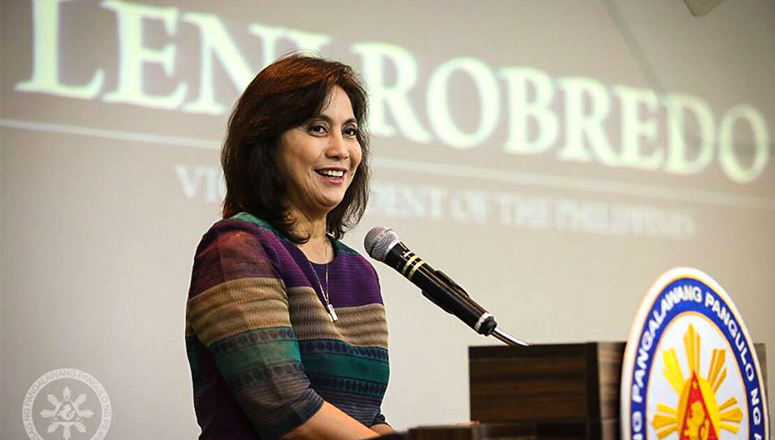 Vice President, Leni Robredo sends her dreams and wishes to all young entrepreneurs in the Philippines. The Young Entrepreneurs Society (YES) Philippines is proud to present the Vice President of the Philippines, VP Leni Robredo shares her gratitude for celebrating the Global Entrepreneurship Week here in the country. 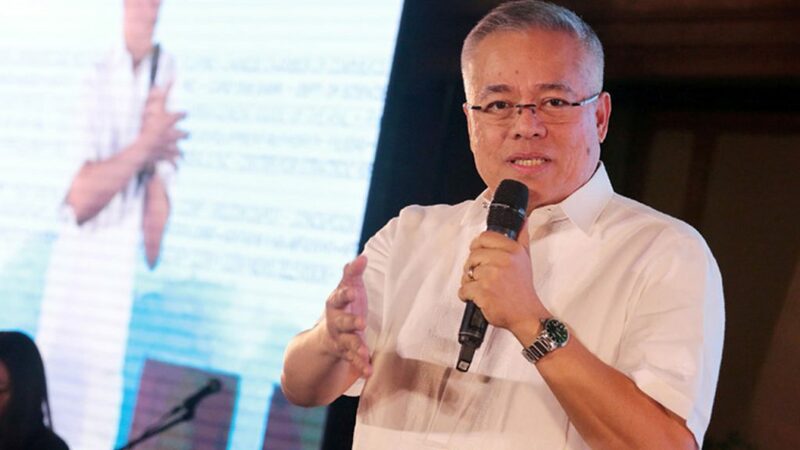 DTI Secretary Ramon M. Lopez expresses his gratitude in having the celebration of Global Entrepreneurship Week in the Philippines that he believes these business enterprises have helped the Philippines economy. Every year, during the second week of November, over 170 countries around the world celebrate Global Entrepreneurship Week (GEW). The event aims to inspire people from all walks of life to consider entrepreneurship as a way to financial independence. More than 10 million people from different countries participate in at least 35,000 events during the weeklong activity to learn about entrepreneurship. Like any startup, GEW started as an idea that became a global movement. It was founded in 2007 and initially launched as an entrepreneurial awareness campaign with 37 countries, led by the United States and the United Kingdom. Through the years, the GEW movement has evolved to be a platform for collaboration and connections with more countries eventually joining to be a part of this important event. 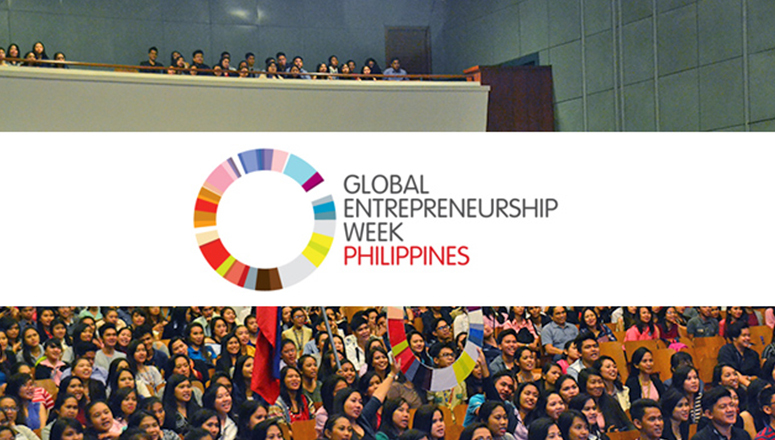 Today, the Philippines is one of the active country promoters of GEW. 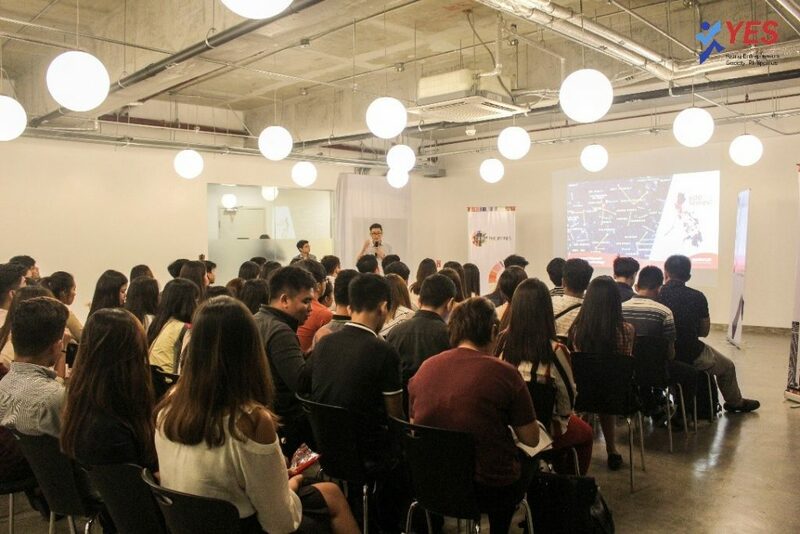 The Young Entrepreneur Society (YES), the official host of GEW in the Philippines, has been leading this weeklong entrepreneurial events in the country for the past five years. To find out the schedules and activities that you can participate in during GEW, you can go here. You may not be good in numbers or creative enough to be in marketing but without the attitude of persistence and determination, succeeding in business is almost impossible. Euclid Cezar, the founder of Famous Belgian Waffles, once lost all his life savings from investing in a business venture but he overcame this failure by having the right mindset. Every entrepreneur encounters frustrations at one point or another. Difficulties in decision-making can happen for many reasons. Having a business mentor or an advisory group can help you develop new perspectives and ideas. They can serve as your sounding board when making important business decisions. 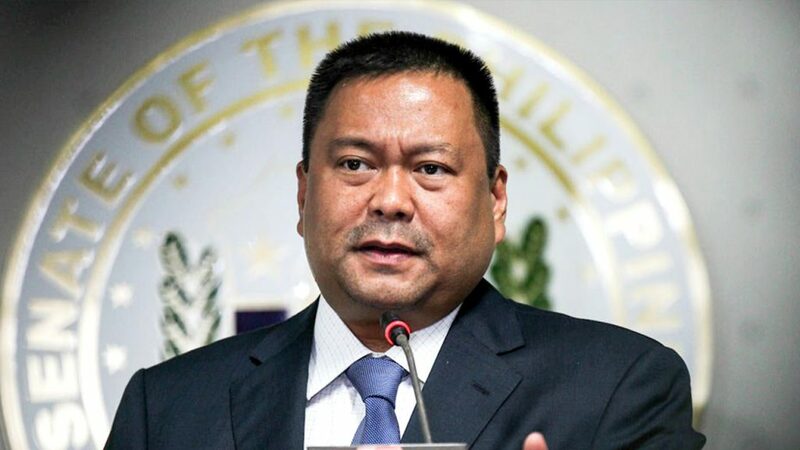 Dennis Uy, the founder of Phoenix Petroleum and Udenna Holdings, one of the fastest-growing conglomerates with interests in logistics, hospitality and telecommunications, would always ask people with experience for advice. 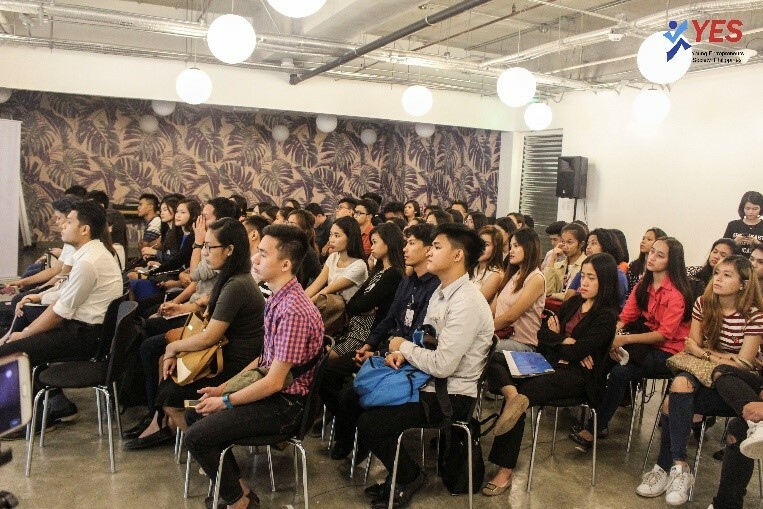 “One of the keys to succeed in business is to be humble enough to admit that you don’t know,” Uy says. “I am not afraid to ask if I need to consult something from my own employees. Having a meaningful brand can help you enable your employees to focus and move into action. A strong brand vision helps ensure everyone is working towards achieving the same goal. Robertson Sy Tan, the founder of Blade Auto Center, the largest car accessories store chain in the country, developed a brand that would inspire his employees to work harder and be competitive. “When we were starting in the business, it was always a huge uphill battle,” Sy Tan says. 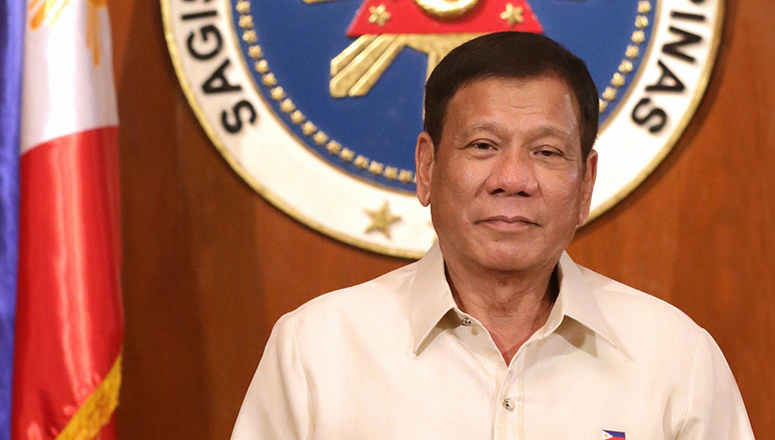 “I likened our difficult situation with the experience of Andres Bonifacio in history. He was fighting against the Spaniards’ guns and canons with only itak or bolo. I used the bolo as symbol of our fight and that is how our brand name became Blade. Building a positive image is about getting your stakeholders, your customers, suppliers and investors to trust you. When you have a good reputation, you can influence how people feel about you as an entrepreneur and how you run your business. Ricky Gutierrez, founder of 1771 Group of Restaurants, believes that having a positive reputation can be a good competitive advantage for the business over the long-term. “At the end of day, reputation is more important,” Gutierrez says. “It is what will save you when things go bad. If you get a good name and people believe in you, no matter how tough your situation is, you can always find ways to turn things around. Every challenge is an opening to bigger opportunities. There is a saying that it is better to be prepared for an opportunity and not have one than to have an opportunity and not be prepared. If you want to make things happen in the future, you need to build yourself up. Johnlu Koa, founder of The French Baker and master franchisee of Taiwan-based bubble tea chain Chatime, prepared himself well by developing his business skills early on when he took graduate courses and applied what he learned when he built his startup. 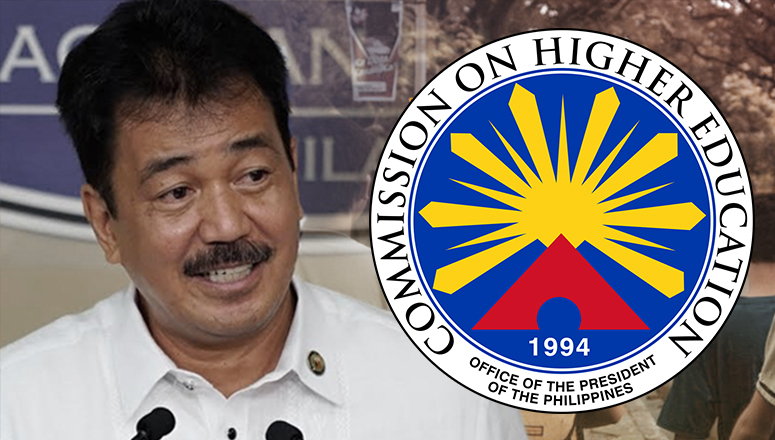 “If you prepare well to meet your opportunity, you are bound to succeed,” Koa says. “Winning should start on the first day, not on the 100th day when you have already blamed everybody. 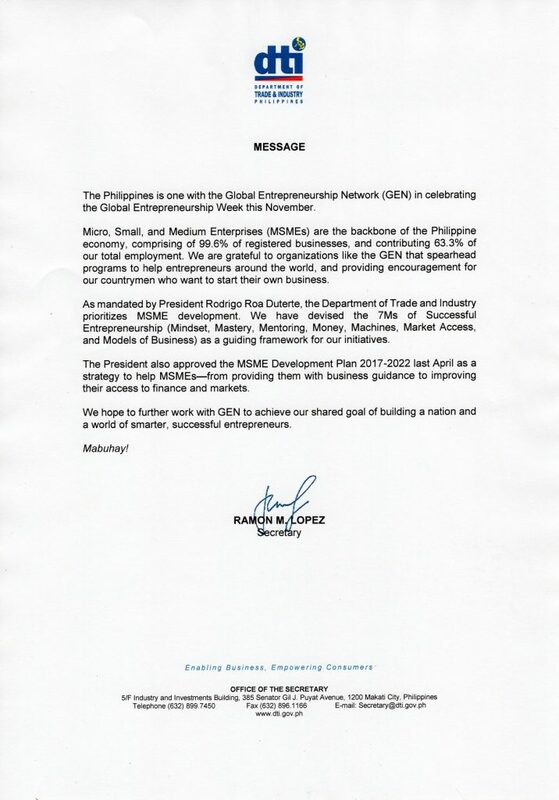 CHED OIC MR. J. Prospero E. De Vera III, DPA sends his greeting for GEW 2018. 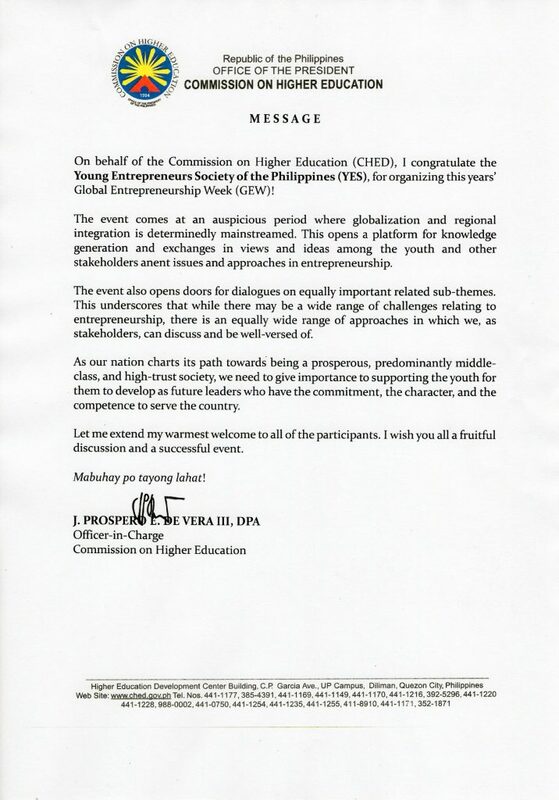 The Young Entrepreneurs Society (YES) Philippines is honored and proud to receive a greeting from the Commission of Higher Education. The CHED Officer in Charge, Mr. J. Prospero E. De Vera III sent his warmest welcome to this year’s Global Entrepreneurship Week (GEW) Philippines participants. A week from now is the biggest celebration of Global Entrepreneurship Week 2018 in the Philippines. Universities and colleges are excited to participate in this week-long celebration on November 12 to 17, 2018 that celebrates global entrepreneurship, adhere entrepreneurs to resources and education and connect one another to create an entrepreneurial ecosystem. The Global Entrepreneurship Week Philippines 2018 hosted by GEN Philippines is going to be the biggest and the brightest celebration as it has gathered partners from the entrepreneurship community composed of associations and universities to celebrate this week-long event. 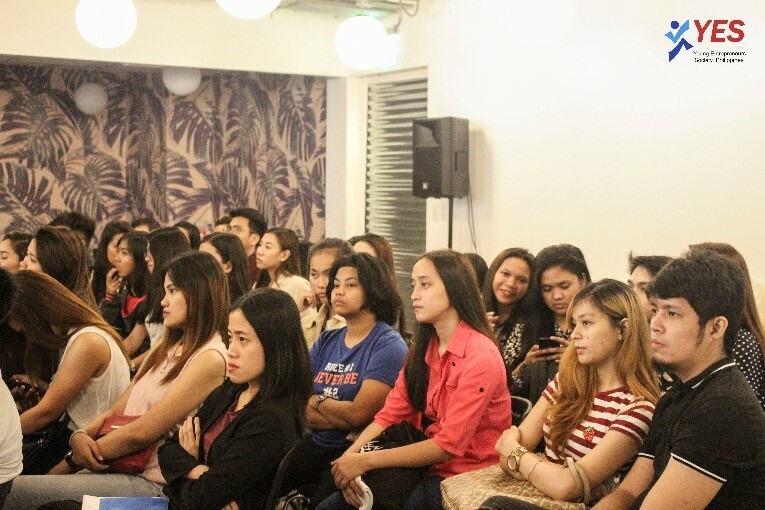 There will be different GEW events that will happen in Manila City, Quezon City, Pasig City and in other parts of the Philippines. GEW events will feature makers and creators, startups, social and young entrepreneurs in the country. The launching ceremony of GEN Philippines. 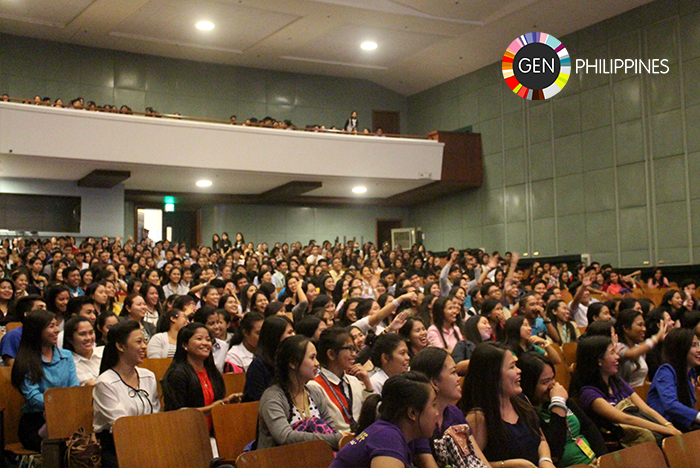 It is a kick-off event to start the GEW and also to launch the GEN in the Philippines. It is a small gathering of makers and creators, startups, social and young entrepreneurs in the country. Learn how to leverage your marketing-mix and build a strong brand platform with a strong customer focus, analytical orientation, and interactive approach. Michael Ryan Estrella, Certified Marketing Professional – Developing Branding Strategy. 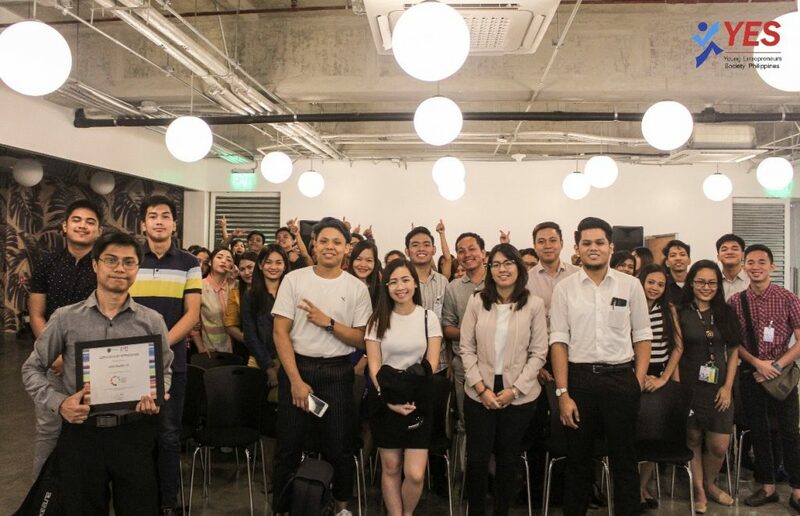 Startup Huddle Manila is a monthly international program that has been currently taken place in Bangladesh, Australia, India, Canada and many more. It is a program designed to build and strengthen local entrepreneurship ecosystems by helping one entrepreneur at a time by huddling with other entrepreneurs in the different industry to share his business challenges and crowdsourcing solutions from participants. It is based on the notion that the best way for entrepreneurs to discover solutions to the challenges they face is through purposeful engagement with one another. This program aims to have an intimate engagement with co-entrepreneurs to have an entrepreneurial ecosystem that aims to help one another. Attorney Marlon, CEO, and Founder of LexMeet! The 4th General Assembly of Philippine Association for Digital Commerce and Decentralized Industries. It is a social gathering to have an intimate social networking with Government and Investors. MC Entrepreneurship Startups Trunk show is an exhibit showcasing the students venture products and prototypes. This event also provides a venue where venture products can create market awareness, test for product acceptance or marketability as well as promote their programs and achievements. Startup Nations Policy Hack is a global policy platform that focuses on giving its members opportunities for policy design, experimentation and knowledge exchange that lead to policy implementation. More and more green businesses are thriving in our economy and they have been affecting us in many positive ways, but what exactly are these “green” businesses? Find out more about the positive impacts of green businesses and green spaces in our latest installment in the Eureka series: In the Green Economy. TamBiz 2018’s goal is to usher in a new era of sustainable inventions and innovations, using the ROI concept: Recyclable, Organic and Indigenous. It highlights the importance of doing business imbued with the essence of social entrepreneurship. This business venture showcase will help students to create market awareness, product testing and drive sales. The summit intends to educate students about the genuine definition of financial sustainability, inform them how to achieve such, and eliminate the usual misconceptions about it. 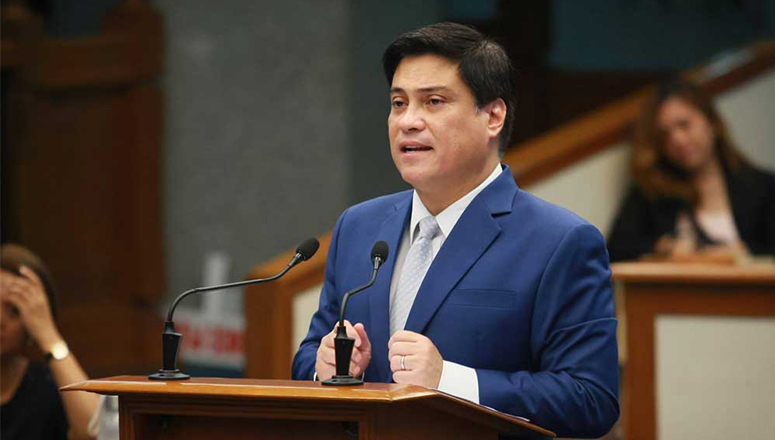 The Manila Blockchain Powerhouse aims to innovate major industries and systems by introducing and bring the Filipinos closer to the Blockchain technology for faster, cheaper and more transparent systems, improving the lives of the Filipino people in the process. Creative Business Cup Pitching Competition is a competition showcasing creative business venture products, services and prototypes. This event provides actual venture products that can create market awareness, product testing/acceptance as well as possible angel investors. Failing Forward is the week end event of GEW and it is an inspirational keynote conference that celebrates lessons in failures in entrepreneurship. This event’s main goal is to recognize and bring into a sphere that all successes in business today have been influenced by lessons from mistakes and disappointments of an entrepreneur.